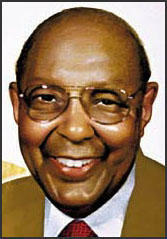 Louis Stokes was born in Cleveland on 23rd February, 1925. Educated in Cleveland he served in the United States Army during the Second World War. After the war he was educated at the Western Reserve University (1946-48) and Cleveland Marshall Law School (1948-1953). He worked as a lawyer and university lecturer in Cleveland. A member of the Democratic Party he was elected to Congress and took his seat on 3rd January, 1969. Over the next few years he was a member of the Committee of Official Conduct and the Permanent Select Committee on Intelligence. Louis Stokes was named chairman of the committee. 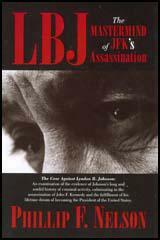 Two subcommittees were created - a subcommittee on the assassination of President Kennedy, with Richardson Preyer of North Carolina as its chairman, and a subcommittee on the assassination of Dr. King, with Walter E. Fauntroy, Delegate of the District of Columbia, as its chairman. Louis Stokes retired from Congress in 1998. Louis Stokes: In order to operate your casinos in 1957-58, did you have to pay money to Cuban officials to maintain the operation of your casinos? Santos Trafficante: We had to pay a license of $25,000 a year and we had to give 50 percent of the take of the slot machines. Louis Stokes: Can you tell us in late 1958, what was the result of the activities of Castro? How did it affect the tourist and gambling business there in Havana? Santos Trafficante. You are talking about 1958 before Castro came in? Louis Stokes: Before he came in, yes. Santos Trafficante: It wasn't too good, Every other day they had bombs and stuff like that. It was nothing. Louis Stokes: What effect did it have on the gambling business? How did it affect your business? Santos Trafficante: Because every day there were bombs put in different spots and the first thing you know, even if there were a couple bombs, before the night was over, there were 200, supposedly, rumors, stuff flying around and people would stay home. Louis Stokes: I suppose that this then caused the casino operators a great deal of concern, did it not? Santos Trafficante: I suppose so. Louis Stokes: And was there fear on the part of the operators that if Castro came to power that he would confiscate these businesses? Louis Stokes: Was there anticipated at all that he might come to power at that time? Santos Trafficante: Nobody ever dreamt that he would come to power at that time. Louis Stokes: Did you or any of the other casino operators take any steps to protect your businesses in the event that he would come to power? Santos Trafficante: No. There was no question about him taking to power. They used to - in the papers when you would read about him, you would read like he was some kind of a bandit. Louis Stokes: Did you meet Fidel or Raoul Castro prior to January 1, 1959? Louis Stokes: When Fidel Castro took over, how soon did he order the casinos to be closed? Santos Trafficante: Well, even before he reached Havana, because he didn't come down from the mountain until after Batista had left, and he had a walkathon, you would call it, from the mountains to Havana, and they kept interviewing him and he kept saying the casinos would close, statements to that effect, the casinos close without even being notified officially to close. Everything was in a turmoil. There was people all over the streets, breaking into homes, there was complete enmity and the only thing at that time was to try and stay alive. Louis Stokes: After Castro came to power, did you continue to operate your business as usual? Santos Trafficante: No, everything was closed. Louis Stokes: When you left Cuba, where did you next live? Santos Trafficante: I lived in Miami. Louis Stokes: Mr. Trafficante, when was the first time you were ever approached by any individual who was affiliated with or working for the CIA? Santos Trafficante: It was around either the latter part of 1960, or first part of 1961. Louis Stokes: And can you tell us who was the person who first contacted you? Louis Stokes: And where did he approach you? Santos Trafficante: I think we were in the Fontaine bleau Hotel. Louis Stokes: And can you give us the date? Louis Stokes: Can you approximate the time? Santos Trafficante: I told you it was either the latter part of 1960 or first part of 1961. Louis Stokes: Did you know Mr. Roselli before that date? Santos Trafficante: Yes, I had met him. Louis Stokes: Can you tell us how you knew him? Santos Trafficante: Well, at this moment I don't remember how I met him but I knew him. Louis Stokes: And how long had you known him? Santos Trafficante: I would say about 15 years, 15-16 years. Louis Stokes: Now, had Mr. Roselli ever had any business interests in Cuba? Louis Stokes: Over the period of time that you had known him, how often had you and he come into contact? Louis Stokes: Now, did he tell you how he came to be affiliated with the CIA? Louis Stokes: This first meeting was just between the two of you? Santos Trafficante: Yes, the first time, yes. Louis Stokes: Can you tell us the substance of the conversation you had with him? Santos Trafficante: Well, he told me that CIA and the United States Government was involved in eliminating Castro. And if I would happen, and if Mr. Gener, if Mr. Macho Gener, if I knew about him, knew what kind of man he was. I told him I think he was a good man, he was against Castro anyhow, and that is about it. Then he introduced me to Mr. Maheu, and then Mr. Giancana came into the picture. Mr. Roselli wanted me to be more or less an interpreter in the situation because he couldn't speak Spanish and I can speak Spanish fluently. Louis Stokes: What was your reaction to killing President Castro? Santos Trafficante: Well at the time I think that it was a good thing because he had established a communistic base 90 miles from the United States and being that the Government of the United States wanted it done, I go along with it, the same thing as a war, I figure it was like a war. 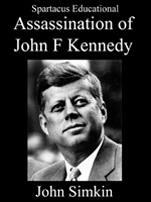 In 1967, 1971, 1976, and 1977, those 4 years, columnist Jack Anderson wrote about the CIA-Mafia plots and the possibility that Castro decided to kill President Kennedy in retaliation. Mr. Anderson even contends in those articles that the same persons involved in the CIA-Mafia attempts on Castro's life were recruited by Castro to kill President Kennedy. The September 7, 1976 issue of the Washington Post contains one of Mr. Anderson's articles entitled, "Behind John F. Kennedy's Murder," which fully explains Mr. Anderson's position. I ask, Mr. Chairman, that at this point this article be marked as JFK exhibit F-409 and that it be entered into the record at this point. Mr. Trafficante, I want to read to you just two portions of the article I have just referred to, after which I will ask for your comment. According to Mr. Anderson and Mr. Whitten in this article, it says: Before he died, Roselli hinted to associates that he knew who had arranged President Kennedy's murder. It was the same conspirators, he suggested, whom he had recruited earlier to kill Cuban Premier Fidel Castro. By Roselli's cryptic account, Castro learned the identity of the underworld contacts in Havana who had been trying to knock him off. 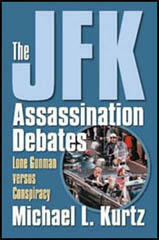 He believed, not altogether without basis, that President Kennedy was behind the plot. Then over in another section, it says: According to Roselli, Castro enlisted the same underworld elements whom he had caught plotting against him. They supposedly were Cubans from the old Trafficante organization. Working with Cuban intelligence, they allegedly lined up an ex-Marine sharpshooter, Lee Harvey Oswald, who had been active in the pro-Castro movement. According to Roselli's version, Oswald may have shot Kennedy or may have acted as a decoy while others ambushed him from closer range. When Oswald was picked up, Roselli suggested the underworld conspirators feared he would crack and disclose information that might lead to them. This almost certainly would have brought a massive U.S. crackdown on the Mafia. So Jack Ruby was ordered to eliminate Oswald making it appear as an act of reprisal against the President's killer. At least this is how Roselli explained the tragedy in Dallas.